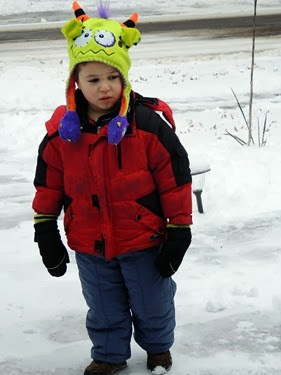 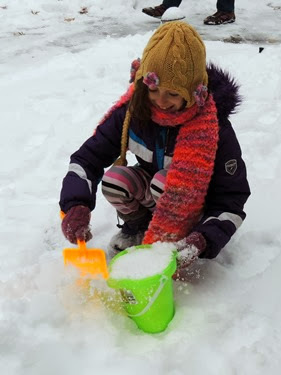 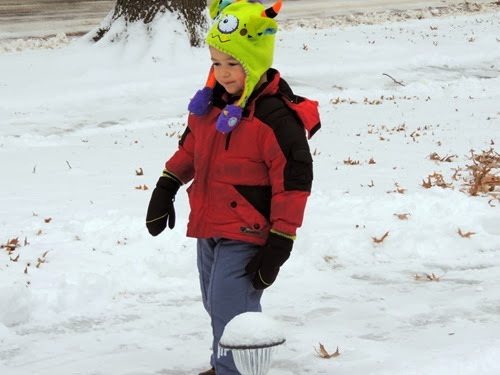 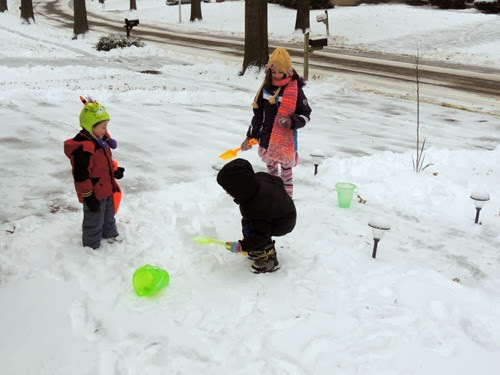 We had our first snow of the winter on Sunday and the first snow is always exciting, enough to get the kids outside and playing even though it’s too cold. 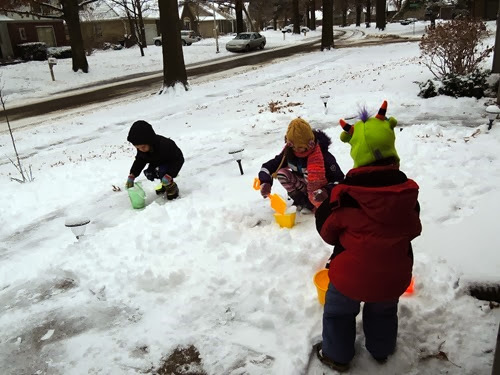 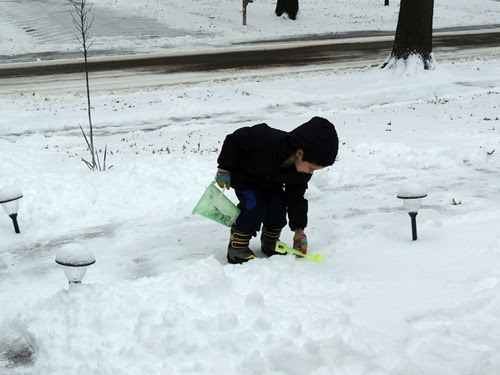 It wasn’t a lot of snow, but it was enough to collect with shovels and buckets. 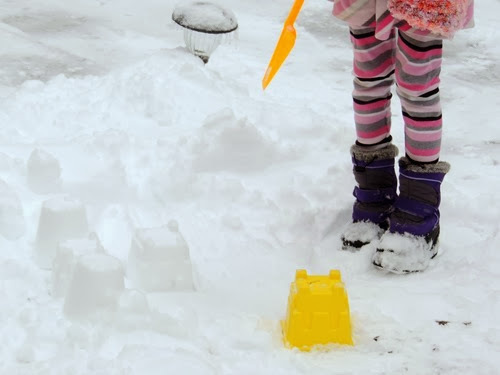 It was thick enough to collect and to turn into castles, like sand castles, but made of snow. 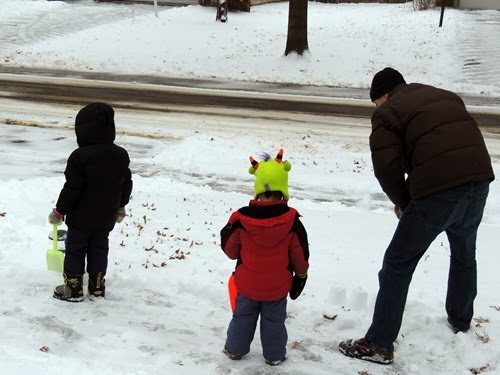 For me, it works out fine, as long as Dave is home to go out with them!